Certified copies of vital records (birth, marriage and death) may be obtained only from the custodian of those records. 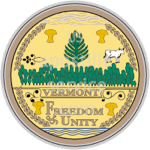 In Vermont, the custodian would be the town or city clerk where the person was born, married or died. Certified copies may also be issued from the VT Department of Health (last five years only) and the Vital Records section of the Vermont State Archives and Records Administration. 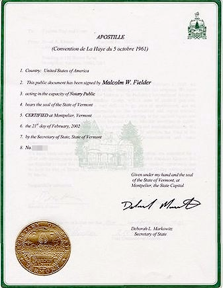 All notaries in Vermont are commissioned to four-year terms and expire on the same date. The current commission expires 2/10/11; the next 2/10/15 and so on.